This is a list of the most common things our clients need to know, before scheduling a service. Still, if you can’t find what you are looking for, just contact our friendly customer advisors and they will be happy to assist you. 1. What are the characteristics of your services? 2. Where do you offer services? 3. What is water-fed pole system? Why is it better? 4. What can you tell me about the professionals? 5. Do you clean only exterior windows? 6. Do I have to know or do something before your visit? 8. Should I provide you with a water source? 9. Are there any chemicals used in your cleaning system? 10. Does the service include cleaning of the frames and ledges? 11. Can I be away during the service? 12. What if it’s raining during the service time? 13. I need a commercial window cleaning. Do you provide one? We offer high-quality window cleaning services, suitable for all types of glass panes including doors, skylights, glass roofs, velux and conservatory windows. The professionals will arrive at your property fully equipped with a tank filled with purified water, an extension pole, squeegees, ladders and everything else they might need to do the job. For windows up to the fourth floor, we use a water fed pole system or the so-called pure water cleaning. For objects on high-rise buildings, we do abseil or rope access cleaning. Our methods are eco-friendly and efficient against all types of grime and build-ups. The results of our work last longer than the traditional methods. If you want to learn more about each individual service, please visit its dedicated page. We offer residential window cleaning, commercial window cleaning, conservatory window cleaning, and gutter cleaning. We cover London and south-east England. 3. What is a water-fed pole system? Why is it better? This is a professional method, which allows us to reach and wash surfaces as high as the 4th storey while standing safely on the ground. It is perfect for conservatories, roofs, skylights, velux or other hard-to-reach windows! This system is the most advanced and efficient again dust and other dirt particles. Washing with purified water means that there is no limescale which is originally the main cause for streaks. 4. Can you tell me more about the cleaners? We have a decade of experience doing this. All team members are fully insured, well-trained and properly equipped. No, we can clean both – the outside and inside, depending on your personal needs. For the exterior, we use the water-fed pole technology. For higher than fourth floors we have abseiling services. And for the inside – we use a traditional method – squeegee and a professional eco-friendly detergent. Yes, we will need a free parking space within 30 meters of your property, on the same side of the street. This is required because the vans are equipped with purified water tanks. Of course, there are other options when parking isn’t available. For such occasions, we have prepared a detachable water fed system which the cleaners can carry on a short distance. They are different according to the season. In summer we work from 06:30 am to 07:30 pm, in winter from 07:00 am to 04:00 pm. The changes occur because daylight is essential for delivering the best possible results. We would appreciate that only if the tank is empty. We usually bring it pre-filled. 9. Does this cleaning system use chemicals? No chemicals are involved in the process. We use only purified water. It acts as a magnet for dirt and washes off residue build-ups. Then windows are left to dry naturally and stay clean for longer. 10. Does the service include cleaning of frames and ledges? Yes, washable glass frames and sills are cleaned as part of the job. Yes, as long as you give us access to the property. If you’ve ordered inside window cleaning, we offer a key pick-up and delivery, free of charge. 12. If it rains, will this affect the job? If it’s only a drizzle it won’t make a difference to the process. In cases of torrential downpour – for safety reasons, it is very likely that we reschedule the service for a time that suits you best. 13. Do you provide commercial window cleaning? 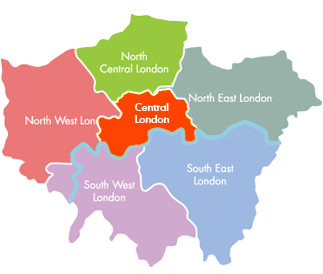 Yes, we cater to many business properties across London and South-East England. We can also provide you with other exterior maintenance services like gutter cleaning. We also have free viewings and price estimates.